This is a very stylish table lamp. Made in chrome during the Art Deco period the deep round base has incised rings and supports a torchere shaped stem that holds a chrome gallery. 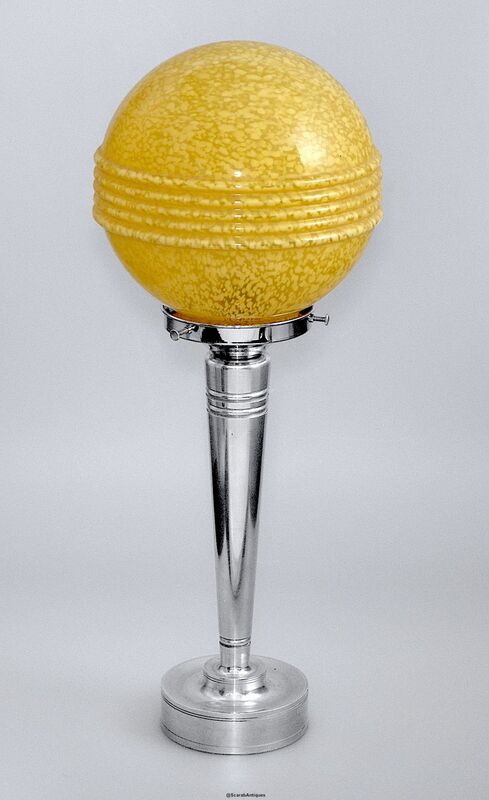 A round ribbed mottled yellow glass shade sits in the gallery and is held in place by 3 chrome screws.